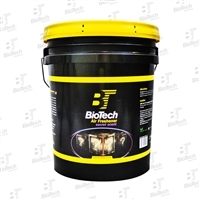 Bio-Tech Air Freshener & Odor Eliminator is a concentrated long lasting premium air freshener that uses its pureness to combat smoke & fine odors, odors of the sickness etc. BioTech Air Freshener & Odor Eliminator is a concentrated long lasting premium air freshener that uses its pureness to combat smoke & fine odors, odors of the sickness etc. BioTech Air Freshener & Odor Eliminator is a concentrated long lasting premium air freshener that uses its pureness to combat smoke & fine odors, odors of the sickness etc. 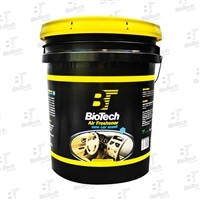 BioTech Air Freshener & Odor Eliminator is a concentrated long lasting premium air freshener that uses its pureness to combat smoke & fine odors, odors of the sickness etc. BioTech Air Freshener & Odor Eliminator is a concentrated long lasting premium air freshener that uses its pureness to combat smoke & fine odors, odors of the sickness etc. BioTech Air Freshener & Odor Eliminator is a concentrated long lasting premium air freshener that uses its pureness to combat smoke & fine odors, odors of the sickness etc. THE SUPER SCENT PADS... Quite possibly are the long lasting, most powerful air fresheners available. Made with pure fragrant oils. Each pad will provide about 30 days of delightful fragrance. BioTech Air Freshener & Odor Eliminator is a concentrated long lasting premium air freshener that uses its pureness to combat smoke & fine odors, odors of the sickness etc. BioTech Air Freshener & Odor Eliminator is a concentrated long lasting premium air freshener that uses its pureness to combat smoke & fine odors, odors of the sickness etc. 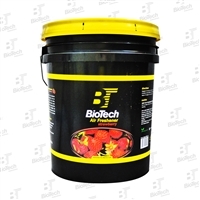 Bio-Tech Air Freshener & Odor Eliminator is a concentrated long lasting premium air freshener that uses its pureness to combat smoke & fine odors, odors of the sickness etc. BioTech Air Freshener & Odor Eliminator is a concentrated long lasting premium air freshener that uses its pureness to combat smoke & fine odors, odors of the sickness etc. BioTech Air Freshener & Odor Eliminator is a concentrated long lasting premium air freshener that uses its pureness to combat smoke & fine odors, odors of the sickness etc BioTech Air Freshener & Odor Eliminator is a concentrated long lasting premium air freshener that uses its pureness to combat smoke & fine odors, odors of the sickness, etc BioTech Air Freshener & Odor Eliminator is a concentrated long lasting premium air freshener that uses its pureness to combat smoke & fine odors, odors of the sickness etc.